Home > Uncategorized > Amazon: Cosco 6 ft. Indoor/Outdoor Center Fold Bench, Purple Bench Top, 2-Pack Only $29 + Free Shipping! 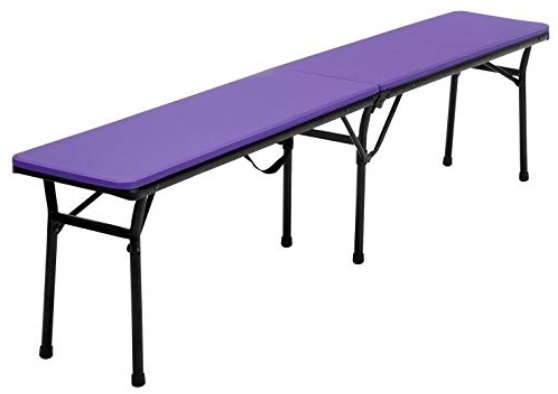 September 14, 2018 Comments Off on Amazon: Cosco 6 ft. Indoor/Outdoor Center Fold Bench, Purple Bench Top, 2-Pack Only $29 + Free Shipping! Amazon has the COSCO 6 ft. Indoor Outdoor Center Fold Tailgate Bench with Carrying Handle, Purple Bench Top, Black Frame, 2-pack marked down to only $29 + Free shipping!